Congratulations! 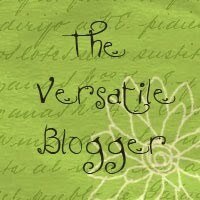 It is a very informative and instructive blog. I have a suggestion. I am sure you are addressing this blog mainly to indian audience. When you are posting recipes of internationl cuisine, try to provide alternative ingredients available in India. At the same time use of international terminology may not be easily understood by all. I tried plain bread instead of ‘baguette french or italian bread’. But you have to toast it before baking. It turns out good. You may also cut that to manageble pieces. Likewise, try dill leaves(sabseege soppu) or spring onion in place of basil. If olive oil is not available, sunflower oil can also be used, yes, the flavour will change. These are few examples. Thanks for the wishes anna, I will try my best!! 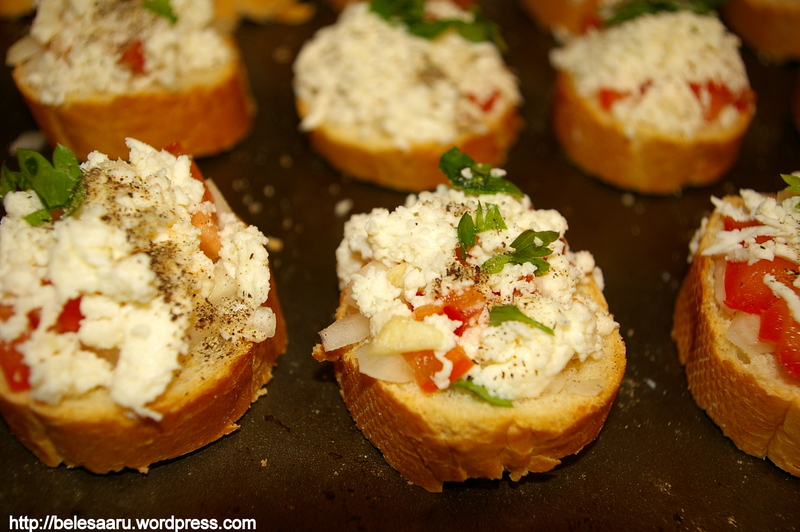 I liked your blog and the yummy food pictures… loved the cheesy bruschetta. Sure to try it sometime. I am very positive kids will like it as much as me. 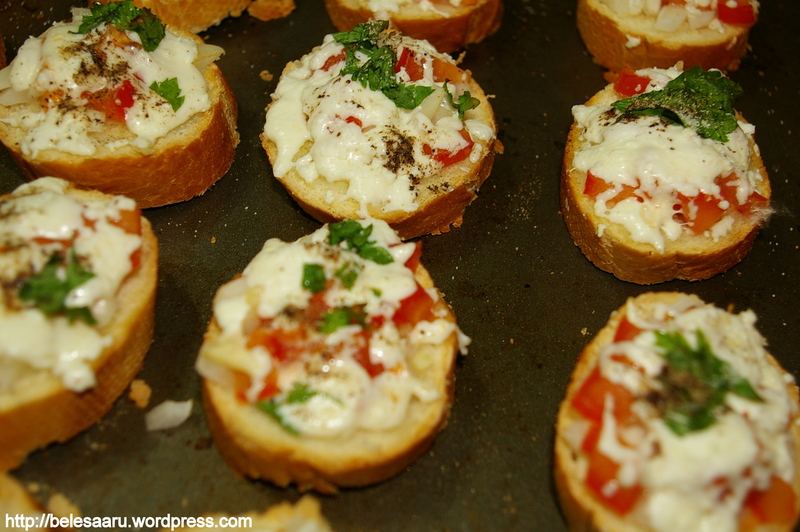 I have always made bruscettas with only tomatoes, adding onions will definitely give it a punch. thanks for the wonferful recipe deepti. Very tempting Deepti! I usually bake the bread first and then add the ingredients and bake it again, your recipe is modified and I did try it, I like this way more better, so crispy and nice.